Parts Per Million: How Gluten-Free is “Gluten Free”? What is “Parts Per Million”, and what does it mean when it comes to food? Certainly a contentious point, and one with differing opinions, the notion that people on a strict gluten-free diet can ingest some parts-per-million of gluten is confusing. We’ll try to help you sort things out, or at least start a new discussion. 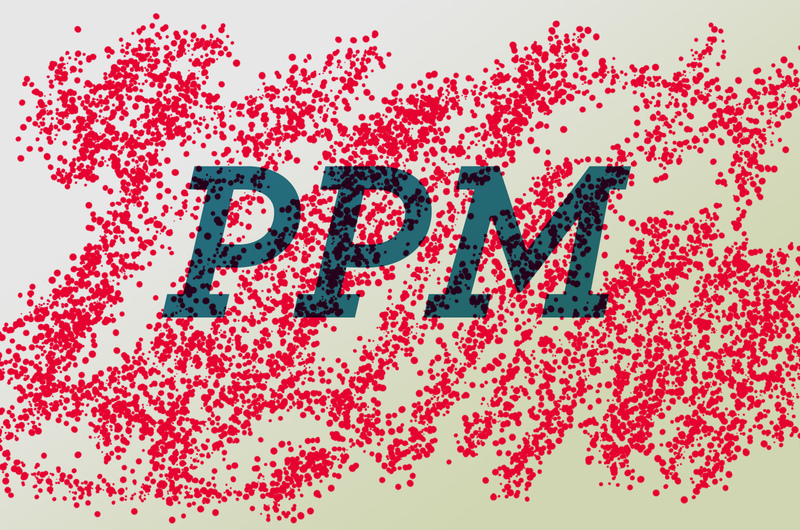 One part per million (ppm) denotes one part per 1,000,000 parts, one part in 106, 1/1,000,000 * 100% = 0.0001% (or 1% = 10,000 ppm), and a value of 1 × 10−6. This is equivalent to one drop of water diluted into 50 liters (roughly the fuel tank capacity of a compact car) or about 32 seconds out of a year. How this comes into play in the food world is a bit less technical sounding, but just as relevant. As the FDA has hinted toward guidelines but not given them outright, food and beverage producers are taking rules into their own hands. Gluten-free Glutton: What’s really gluten free? Is it possible for your food to be gluten-free and still have gluten in it? It was nearly a year ago that the U.S. Food and Drug Administration issued proposed guidelines for labeling foods as gluten free. Those guidelines say food manufacturers can call their products gluten free if they contain less than 20 parts per million of gluten. That means your gluten-free food can technically contain bits of gluten, a protein found in wheat, rye and barley. The guidelines haven’t been finalized by the FDA, which shouldn’t be a surprise because the agency first submitted them in 2007 and never acted on the proposal before reviving it in 2011. All reports say the FDA is expected to finally make it official sometime this year. But for those of us with celiac disease (an intolerance to gluten), we have to wonder about this proposal. We are told that we can’t ingest any gluten because if you have this affliction, gluten causes damage to your small intestine. So if our “gluten-free” meal has 19 parts per million of gluten, is that really safe? I don’t worry about that a lot because I generally don’t get sick if I eat a small amount of gluten. I avoid gluten because I know that it is damaging my intestine and will cause long-term health issues. But I’ve met a lot of other celiacs who tell me they do get sick and feel it immediately when they ingest gluten, and they are very careful to avoid any particles. So when the FDA guidelines came out last year, I put this question to one of the leading researchers on the disease, Stefano Guandalini of the University of Chicago Celiac Disease Center. He assured me that “there is good, solid science” behind the safety of the 20 ppm standard. He also pointed out that the standard has already been adopted in Europe. He said studies have shown that celiacs can consume up to 10 milligrams per day of gluten without causing damage, or about 1.1 pounds of food that contain 20 ppm of gluten. With that reassurance, I was interested to read recently about a new beer produced by a brewery in Oregon. 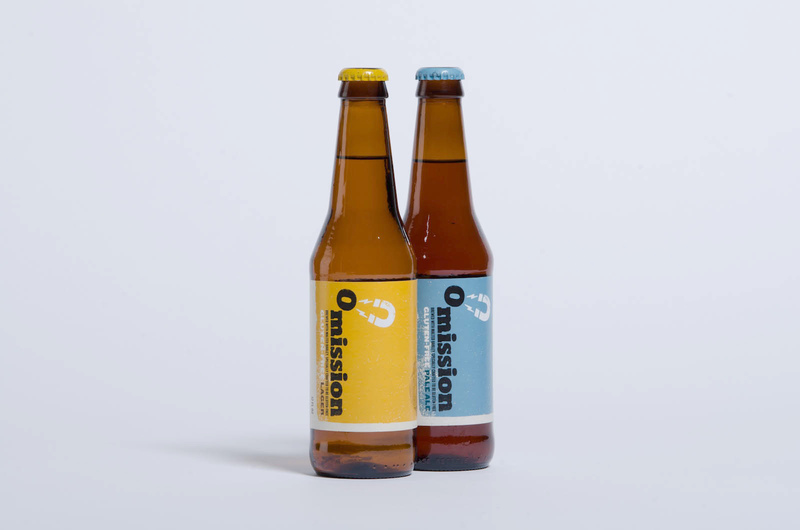 The beer is called Omission and it claims to be the first gluten-free beer in the U.S. that is brewed with traditional beer ingredients, including malted barley. The other gluten-free beers on the market are brewed from sorghum or some other gluten-free grain as a substitute for barley. Depending on who you talk to, those beers have varying levels of success replicating the taste of regular beer. Omission’s beer promises to be more like regular beer because it uses traditional beer ingredients. Omission, produced by Widmer Brothers Brewing in Portland, says it has a “proprietary brewing process” that reduces the level of gluten below the 20 ppm standard while still using barley. The company also says that every batch is tested by an independent lab to ensure that the beer meets the FDA’s proposed gluten-free standard. What do you think? Should limits for gluten be set at Zero PPM, or is that impossibly, unrealistically low? Have you been contaminated with gluten-free foods that claim to be in the very low-range of PPM gluten? We’d like to know! This entry was posted in Beverages, Cooking, Culture, Health, Ingredients, Labeling, News, Science, Uncategorized, Website and tagged gluten-free, Health, Parts per Million, ppm, PPM gluten free on July 16, 2012 by glutenfreepdx. Estrella Damm Dura beer is made using the same process. They claim less than 6 ppm on their labeling. I have also wondered about the 20 ppm standard a sit is per serving. What if you eat three plates of spaghetti or any other so-called gluten-free products in more than the single serving? Estrella Damm Daura made me sick. I don’t drink the Omission beer, and tell beer retailers that it is NOT Celiac safe. I read a ton about it and there was definitely a heated debate on both sides, but in the end I just don’t trust it. They brew the beer in the same brewery as their other products, and I know that gluten particles are flying around all up in there. Many people with Celiac can’t even consume liquor, which I think has less than 20ppm of gluten. If the distillation process isn’t safe, this magical gluten eating agent is not sage either.